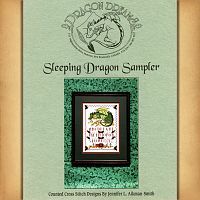 - For those who appreciate a traditional sampler design, with a whimsical twist! A dragon curls contentedly atop his pile of treasure pile, guarding it from all dangers, while the bottom half of the design features a vibrant burgundy and gold alphabet, with acorns and oak leaves throughout. 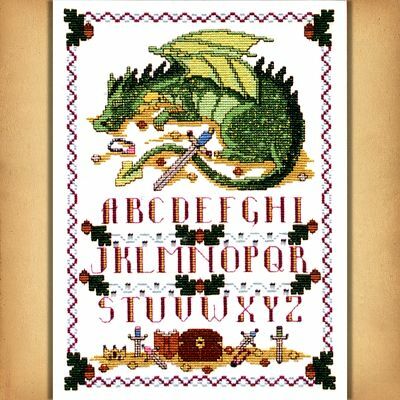 This design measures 112 stitches wide by 154 stitches high. Blending filaments and glass beads are called for, to add an extra bit of sparkle. 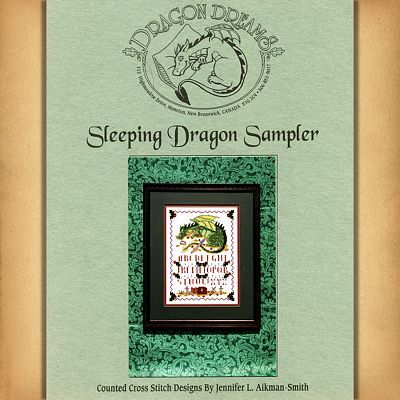 Do you have any other questions about our Sleeping Dragon Sampler Cross Stitch Pattern?